Fed up with world's greatest hitman Gunther, a group of younger assassins decide to kill him but their plan turns into a series of bungled encounters as Gunther seems to always be one step ahead. 30 years ago, if Arnold Schwarzanegger starred in a movie called Killing Gunther, it would’ve offered a straight-up action experience. Circa 2017, though, Schwarzenegger finds himself in a position to play for laughs. Robert “Gunther” Bendik (Schwarzenegger) wears the crown as the world’s greatest hitman. However, he finds himself faced with multiple aspirants to that title. Eager to replace the aging killer, these younger contract assassins decide to train their target on Gunther himself. They find this difficult to achieve, as Gunther shows why he stands on the top of the hitman hill. Best-known for his stint on Saturday Night Live, Taran Killam goes “triple threat” for Killing, as he stars, writes and directs the movie. This becomes his directorial debut and only his second produced script. Killing finds Killam in the mode perfected by another SNL alum. Presented as a “mockumentary”, Killing falls firmly into the Christopher Guest realm. Unfortunately, Killing shows no signs that Killam possesses Guest’s talent. A flat, tedious piece, the movie lacks laughs or much to entertain. Really, Killing comes without much of a real “through-line”. To some degree, it purses a few character growth elements – most related to lead assassin Blake Hammon (Killam) – but these never turn into anything interesting. Episodic in nature, Killing throws all its comedic eggs in its characters’ baskets, and these effort flop. None of the actors embarrass themselves, but they fail to find much mirth in their parts. In addition, the whole enterprise tends to feel half-baked. The plot lacks much intrigue, so the random comedic moments become even less interesting. The best I can say for Killing Gunther is that it never becomes offensive or cringe-worthy, but that’s faint praise. A sluggish, uninspired comedy, the film goes nowhere. Killing Gunther appears in an aspect ratio of approximately 1.85:1 on this Blu-ray Disc. The image looked pretty positive. Sharpness seemed good. Only a little softness appeared in some wide shots, but the movie usually appeared tight and concise. Jagged edges and shimmering didn’t cause distractions, and edge enhancement seemed to be absent. Source flaws also failed to pop up in this clean transfer. Orange and teal? Orange and teal! Some other hues crept in as well, but the majority of the tale opted for those tones. As tedious as that was, the colors seemed accurately reproduced within the stylistic choices. Blacks came across as dark and dense, while shadows were positive. Overall, this became a fine presentation. Also impressive, the DTS-HD MA 5.1 soundtrack of Killing proved to be involving. The movie offered good general atmosphere through the whole tale, and it kicked into higher gear well when necessary. “When necessary” cropped up frequently, as the film’s action scenes added a nice punch. These boasted good information from all the channels, and the material blended smoothly. These factors allowed the flick to create a vivid, involving soundscape. Audio quality satisfied. Speech sounded crisp and concise; the lines lacked edginess and seemed well-reproduced. Music showed nice range, as the score was consistently full and rich. Effects also conveyed good accuracy and punch. With a mix of action sequences, the track came with a variety of chances to shine, and it did. Low-end response seemed tight and warm throughout the film. This was an immersive mix. Two Deleted Scenes appear: “Overly Protective Father” (1:23) and “Hitbook: The Official Hitman’s Social Networking Site” (0:48). The first shows a little more of Sanaa’s father, while the second depicts another attempt to find Gunther. Neither offers much value. A reel of Bloopers goes for five minutes, 49 seconds. Expect the usual goofs and giggles without much else of use. 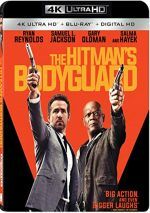 The disc opens with ads for Gun Shy, War On Everyone, The Hitman’s Bodyguard, Skiptrace and The Trust. No trailer for Killing appears here. A limp attempt at a “mockumentary”, Killing Gunther delivers a virtually laugh-free experience. Though it never becomes painful to watch, it lacks wit or entertainment value. The Blu-ray boasts very good picture and audio but lacks substantial supplements. I can’t recommend this tedious attempt at comedy.